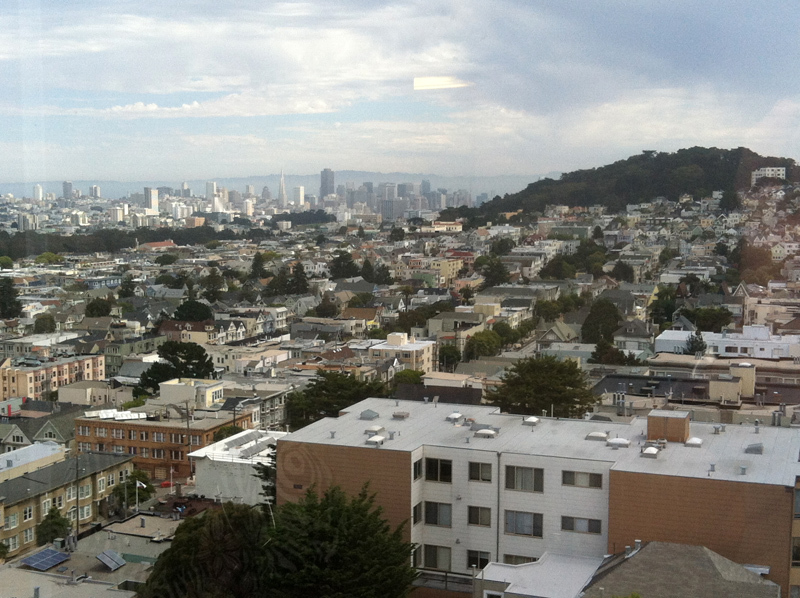 I was in the concrete jungle of San Francisco today. It was a cool gray day with lots and lots of folks. I looked at the dense pack living conditions of the big city and I missed all the space I have in my normal life. I wouldn’t trade it for anything. I understand a lot of people love living in the city. Different strokes for different folks and all of that. However, a trip to SF makes me appreciate my daily contact with nature. At my home and at my work. It is a blessing to be sure. It seems to me that the people in the big cities must feel disconnected from nature in a way that makes a person want to protect, treasure and guard it. I think that experiencing it in this way doesn’t leave many people with a true understanding of nature. At a very basic level I wish that everyone had to go out hunt, kill, clean, cook and eat an animal. Honestly I believe people would have a greater appreciation of their daily sustenance. 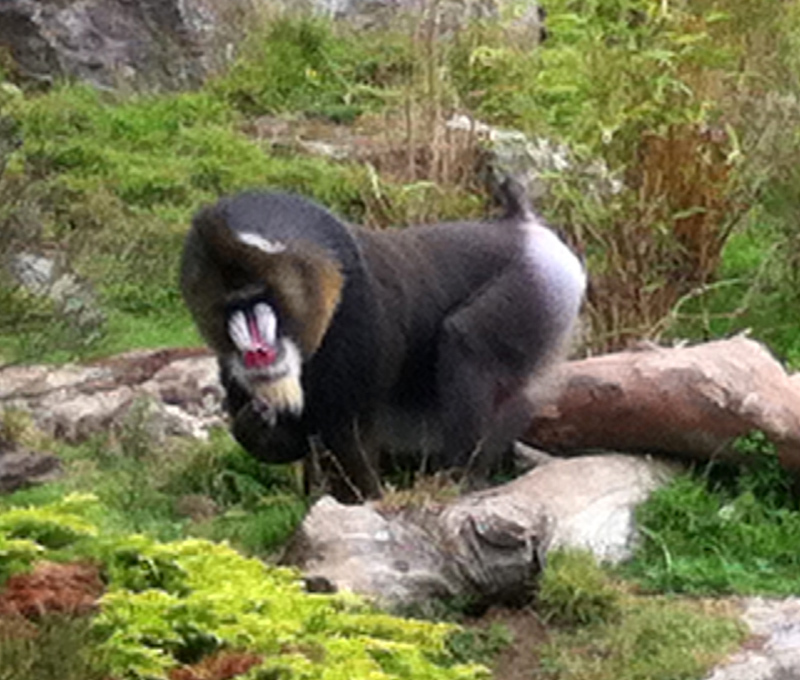 Mandrill at the San Francisco Zoo. In my firefighter days, many years ago, I worked with a fellow from SF. He had never left the city before to spend any meaningful time in a rural environment. He was a very capable guy and after we left our fire training camp I was stationed in Redding and he in Ogo. Ogo was a fire station West of Redding and was well known for it’s great population of rattlesnakes. A few days later, both our crews responded to the same fire. He seemed a little tired, but otherwise in good spirits. About two weeks later the Redding crew was on a fire with the Ogo crew again, but I didn’t see my friend. I ask about him. His other crew members told me he hadn’t been sleeping well because it was too quiet at night, but when the coyotes would howl in the middle of the night he would fly out of bed in a panic. After about ten days he couldn’t take it anymore. He packed up and went home. I never saw him again and the old Ogo Fire Station is long gone. He never took the time to get comfortable in that setting. It was sad, but maybe I would have trouble making the same adjustment to living in the city. 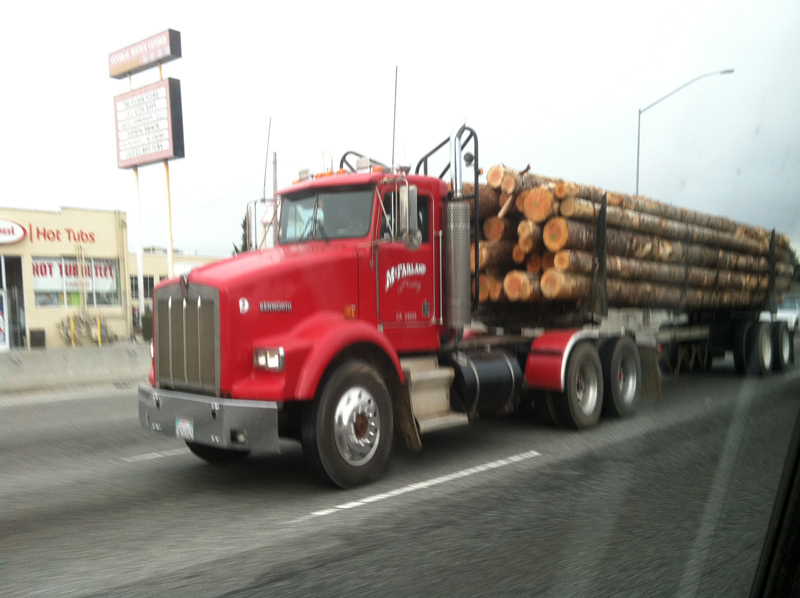 I saw this log truck rolling through the Bay Area. Just a little reminder of where wood comes from. I wish folks from the cities in California trusted our land managers more. The people I work with love nature as much as anyone and take great pride in the job they do. Instead, in a time when the science and technology have reached a point that we can accomplish amazing things in the woods, politically we are forced to do a more and more mediocre job by trying to create conditions where no one can make a mistake. Unfortunately, the desire protect the natural environment by stopping land management is resulting in loving our forest to death. Death by uncontrollable fires and bark beetle epidemics. People need to view land management as a tool to improve our forests where people are part of this ecosystem and not as an obstacle to a healthy forest.